Welcome to our humble little stop along the Strawberry Biscuit Blog Hop! If you follow us on Instagram, you may have caught a peek during our #PrettyPlaytime photoshoot, but today, we’re getting you up close and personal with each and every one. With Pretty Playtime, Elea dazzled us with her fanciful landscape of darling critters, candy-colored cottages and friendly fairies. 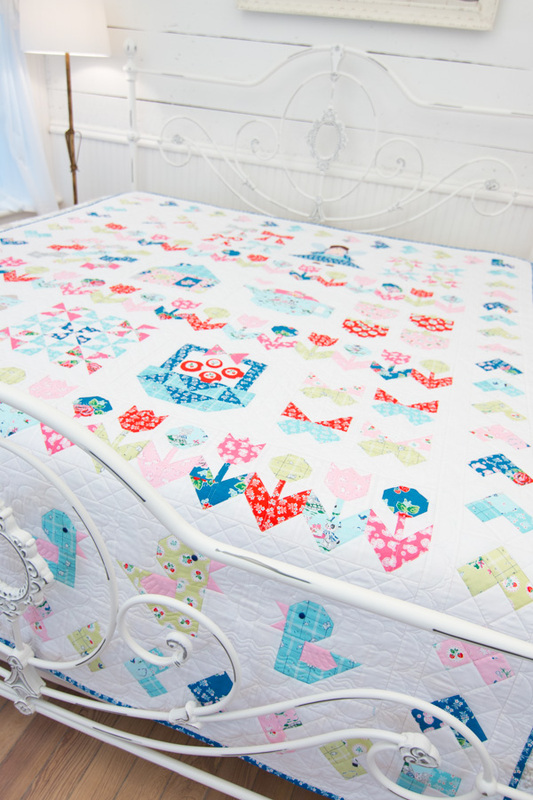 While we are usually all about straight up piecing, she lured us into this crazy world of embellishments with embroidery, applique, buttons and ric rac – and it turned out so, so perfectly!! 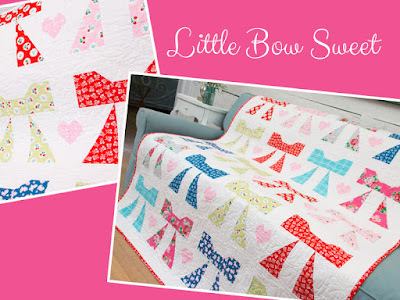 She started with Little Bow Sweet, and those sweet pink hearts swept us right off our feet! The Knock Knock, Who’s There? 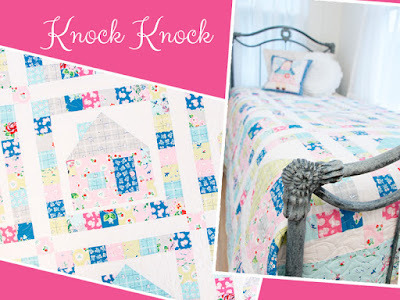 quilt followed – pretty houses adorned with pieced borders and buttons for doorknobs. Imagine selecting just the right buttons for each house with your littles! 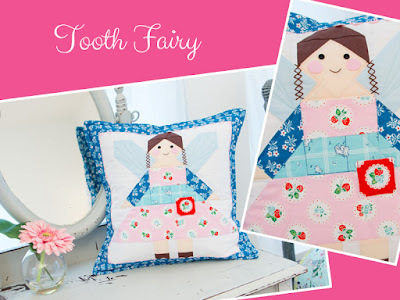 The Tooth Fairy pillow holds a little secret. She comes dressed for the job with a tiny pocket for her goodies! And check out her cute pigtails. 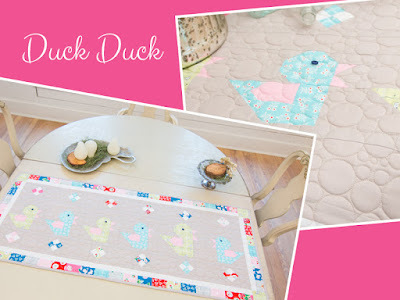 The Duck Duck Tablerunner comes swimming up behind – a Mama duck trailed by her ducklings is irresistible, to say the least! Pretty Playtime’s crowning glory is the Garden Fairy Sampler. It combines elements from all of the other projects into its whimsical, wonderful tale! Have fun making up stories for each and every block. The Ducks and Bears are having a tea party… the Tooth Fairy visits with the dragonflies among the tulips… the Butterflies are collecting their nectar in a ribboned handbasket… let your imagination run free! We even have a kit for the Garden Fairy Sampler available for purchase - take a peek! 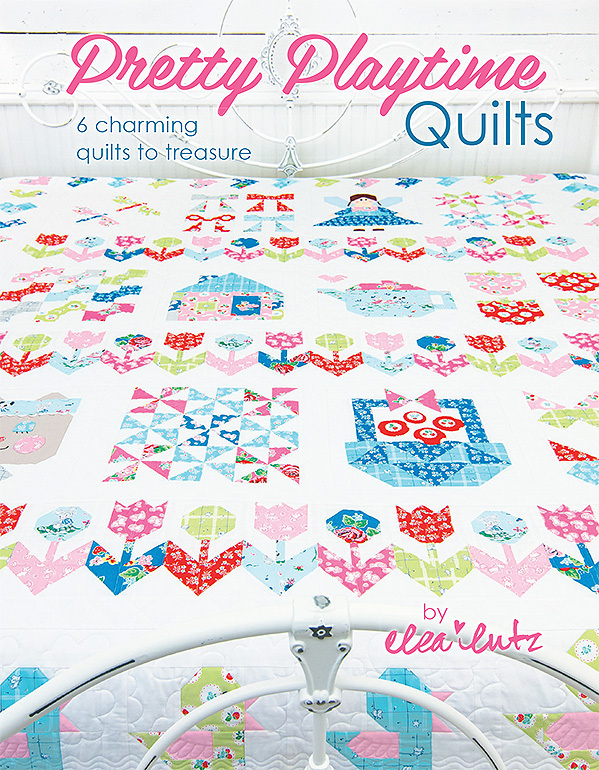 It won’t be long before Pretty Playtime lands in our hot little hands, but if you reserve your copy before it arrives, you’ll also receive Elea’s Little Swan pattern for free, so don’t dilly dally!